In Business world, email considered the most highly effective communication tool that your company uses. Whether you’re sending an email to someone who’s a few doors down or thousands of miles away, the benefits are countless for using Gmail for your small business. Storage: Google provides 10GB for free which should be more than enough for most small business. Record: You can keep a record of all sent and received communications. Sort & Search: Enjoy your peace of mind with Gmail powerful search tool, you’ll be able to find that 2 years old email quickly and easily. 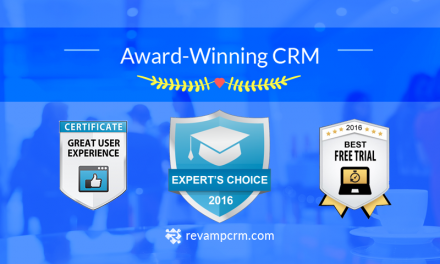 Because of this, We at Revamp CRM take our CRM integration with Gmail very seriously. 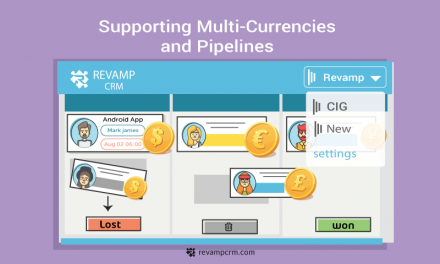 You can use Revamp CRM as a part of that smooth workflow you enjoy with Gmail. All you need to do is to Get our Gmail Gadget, and you’re ready to go. 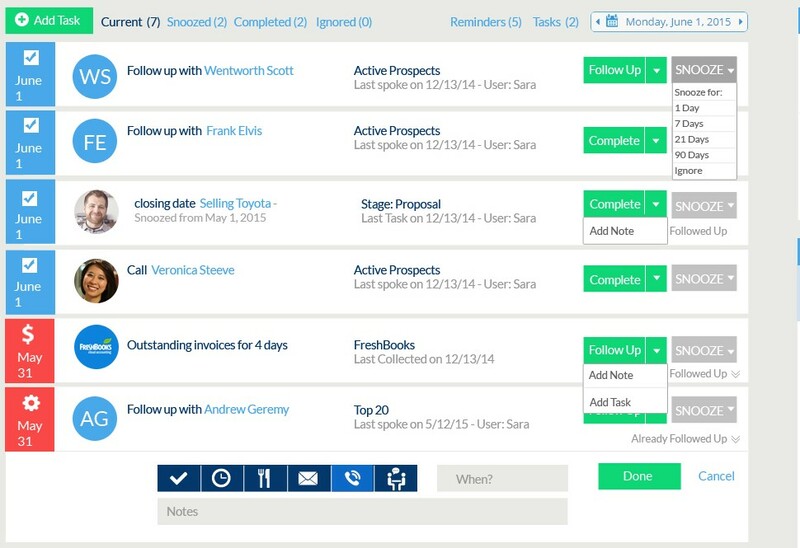 Get access to your CRM from inside your inbox. 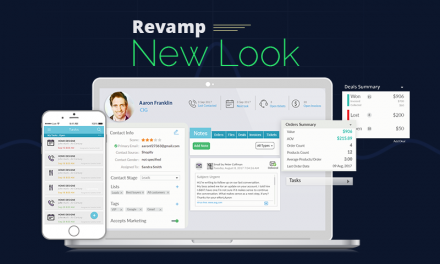 Add a new contact to Revamp CRM with one click. See where you left off and what is your next scheduled task. See a quick deals summary of won, lost and potential deals. Add notes, tasks or deals with a simple click. 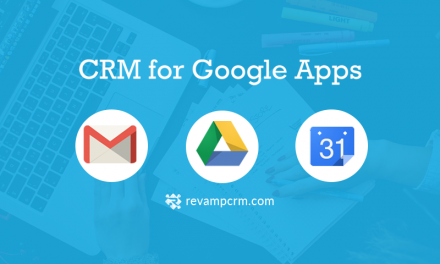 Capture active Gmail email right into Revamp CRM. See a quick orders summary for Shopify store orders. Use our Smart BCC email anytime you send or receive a message from a Revamp CRM Lead or Contact, and we will attach a copy of the communication to their profile. Save Your Time: Stop wasting your time with data entry and import all your contacts and leads from your Gmail to your CRM account in a minute. 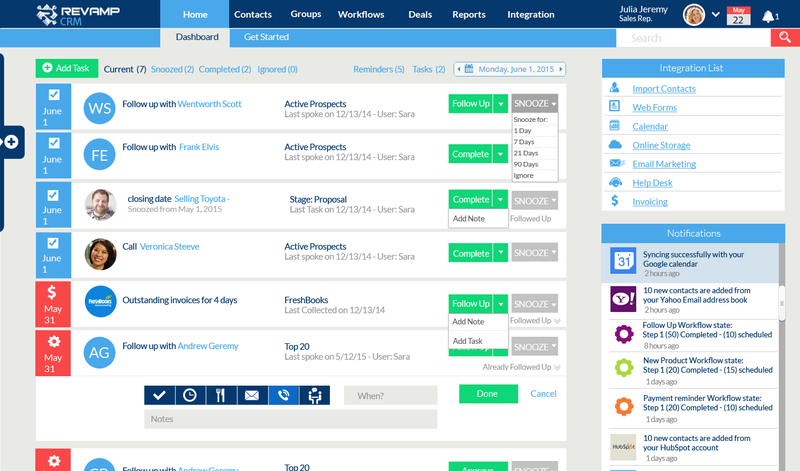 Manage everything in one place: Keep all of your communications visible in one place. Tags and Custom Fields: Use our Custom Fields to capture information specific to your business and your business process. Smart Filters: Use smart contact management tools and filters to sort your contacts into different Segments and Lists. Email Marketing: Use our Email Marketing Automation and Campaigns to send better-targeted emails. 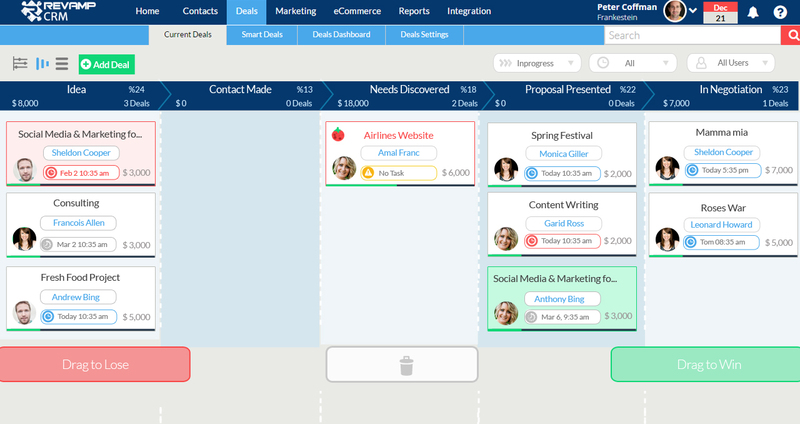 Pre-built Marketing Automation: Use our Pre-built Sales and Marketing Templates to save your time. Sales Follow-up Reminder: Add your Google Contacts to Revamp CRM and we will automatically remind you to follow-up. 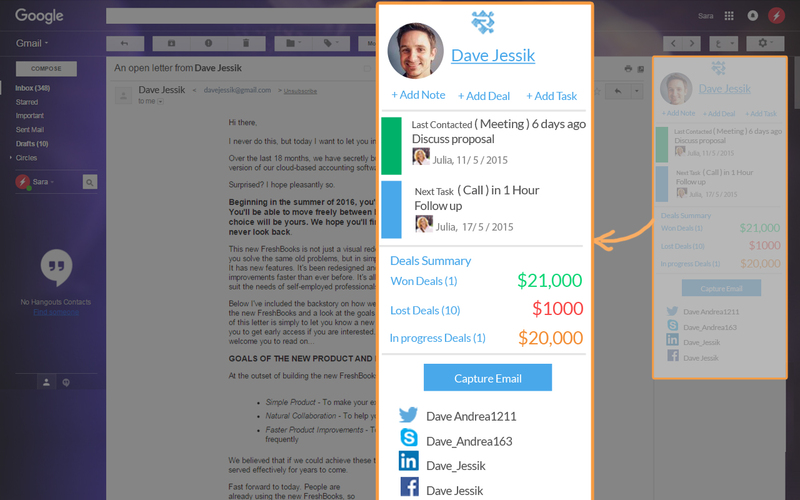 Sales Pipeline: Visual Sales Pipeline to help you know your Deals and top contacts at a glance.